Tasmania was joined to mainland Australia until about 12,000 years ago when sea levels rose and Tasmania became an island. The aboriginal people who populated the region had no contact with the rest of the world until European explorers first arrived in 1642. Settlers from Britain came in the early 1800s and took over the land. 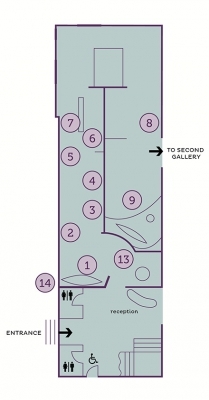 The newcomers were very dependent on local and overseas shipping for communication, trade and immigration. 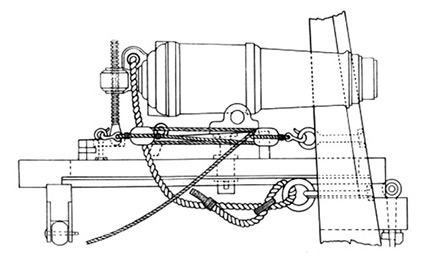 The reliance on shipping diminished with the advent of motor vehicles, improved roads and aeroplanes during the 1900s. But the waterways around Tasmania are still an important for tourism, recreation, fishing and ship building. The vast majority of immigrants have been British but after World War II many also came from war-torn countries in continental Europe. Immigrants from other nations have arrived in smaller numbers - including over 1000 Chinese who came to mine tin in the 1870s and 1880s. 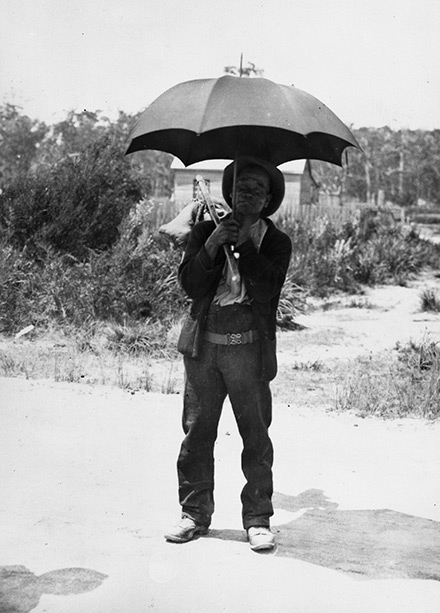 Tasmanian Aboriginal bands were hunters and gatherers. Each occupied territory that included an inland hunting ground and a coastal area where they gathered shellfish and caught seals and birds. To cross rivers and estuaries and to reach offshore islands they built canoes made from bundles of reeds or bark, tied together with cord. In 1642 Dutchman, Abel Tasman, was the first explorer to land Europeans on Tasmanian soil. 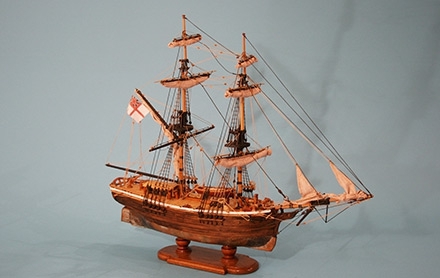 He had been sent by the Dutch East India Company from their trading centre in the Spice Islands (Indonesia) to seek spices, gold or other valuable goods – which he failed to discover in Australia or New Zealand. 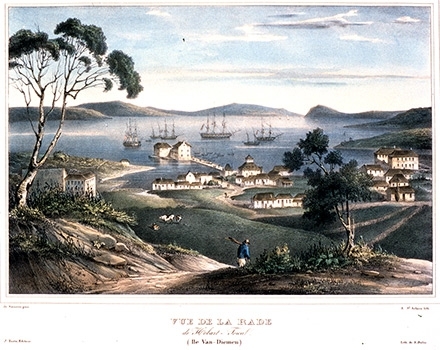 During the 1700s Southern Tasmania became a favoured resting and restocking place for French and English explorers journeying to the Pacific in search of new routes, trade goods, and scientific knowledge. The first European settlers were sent to establish a British convict colony. 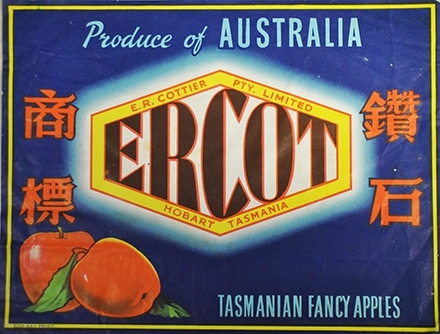 They arrived in 1803 and Hobart was established the following year. The Wynaud was built in 1854 for the lucrative British opium trade between India and China - but was never actually used for it. However the ship did carry tea from China before being wrecked on Tasmania’s north east coast in 1874. The Industrial Revolution caused major social upheavals in Britain in the 1700s and a rise in crime. Many convicts were sent to American colonies until Britain lost these in the War of Independence. 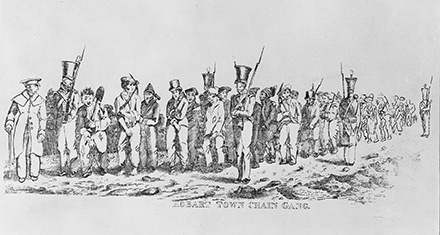 To ease their overflowing prisons the British Government decided to establish convict colonies in Australia. Seventy-five thousand convicts were sent to Tasmania (then known as Van Diemen Land) before transportation ended in 1868. 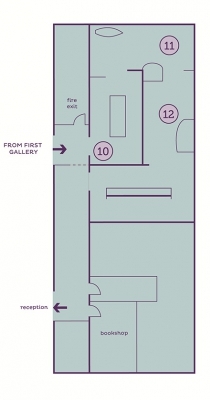 Convicts provided labour to build the colony and once free, many prospered. Although most convicts came from Britain some came from British colonies including a few Chinese from Hong Kong and Mauritius. 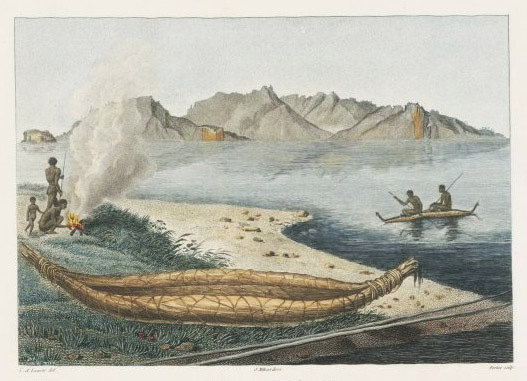 The island’s first major exports were fur seal skins (sold to China and Europe), whale oil, and wool. 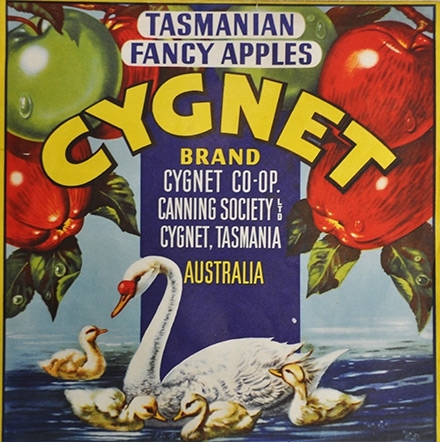 By the late 1800s apples had become a major export with large overseas liners arriving each autumn to carry the fruit to Europe. 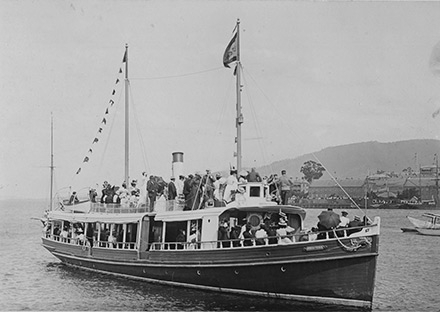 British liners arriving in Tasmania often employed Chinese crew members. Captain Copping, whose stick and silver cup are exhibited, spent many years at sea, at first on whale ships and later as captain of sailing ships trading to Britain, New Zealand and mainland ports. 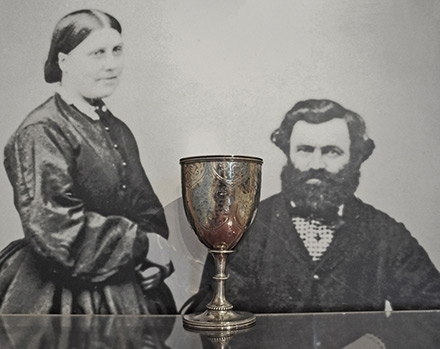 The silver cup was presented to him by the owners of a circus he transported from New Zealand to Australia. 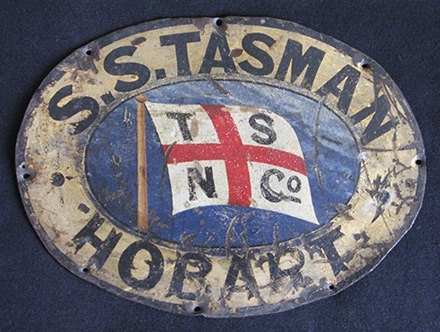 When steam power began to replace sail in the 1850s the Tasmanian Steam Navigation Company was formed to serve mainland and New Zealand Ports. 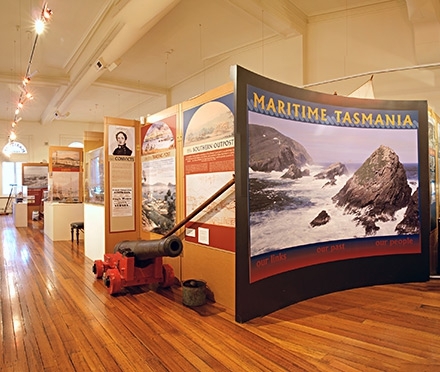 Tasmania is surrounded by shipwrecks – an unfortunate consequence of its rugged coast and strong winds. The earliest known shipwreck occurred in 1797, before British settlement when Tasmania was thought to be joined to the mainland. The Sydney Cove was sailing to the new settlement of Sydney with a speculative cargo from India - including Chinese ceramics. 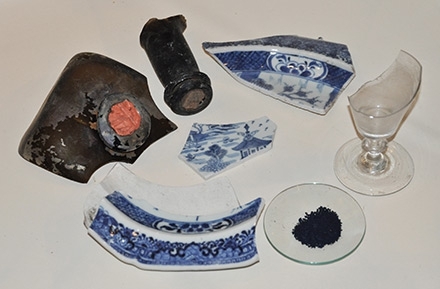 A few broken pieces from the wreck site can be seen in our shipwreck case. A more recent shipwreck was the Lake Illawarra which knocked down two pylons of the Tasman Bridge in 1975 and sank beneath the debris. Seven crew and five people who were driving across the bridge died, and the road link between Hobart and the Eastern Shore was severed. 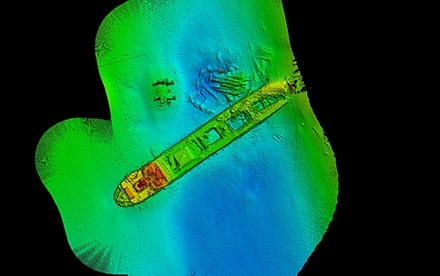 Recent sonar images show the wreck still lying beneath the reconstructed bridge. Tasmania’s first major export industry was whaling. 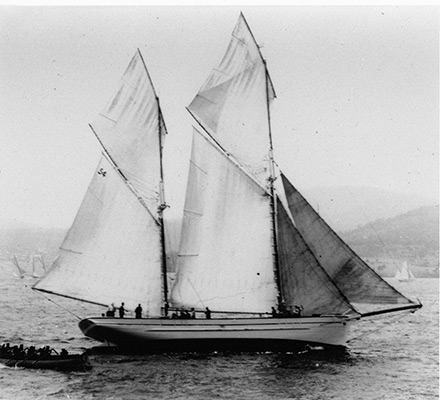 Hobart had its own whaling fleet and many foreign whale ships also used the port. At first whales were caught in Tasmanian waters but their hunters soon had to go further afield, sometimes on voyages which took over a year. 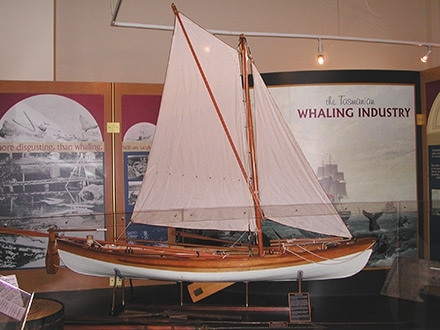 Small rowing boats were lowered from the whale ships to chase and harpoon the whales. 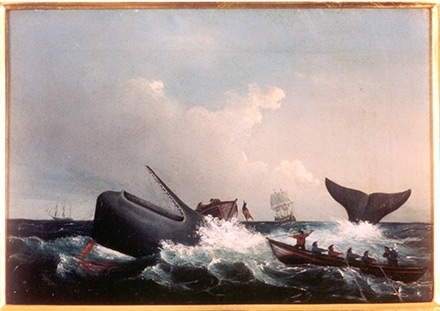 Sometimes boats were overturned or dragged long distances by a harpooned whale. It was a very dangerous occupation. Captured whales were cut up and the blubber boiled to extract oil. This was used to light the cities of Europe and America and to lubricate the machines of industry before mineral oil was introduced. Whale bone was used as we might use plastics today. Probably because of Tasmania’s strong maritime culture, a relatively large proportion of its youth joined the navy and participated in the two ‘World Wars’ fought by Australian troops. 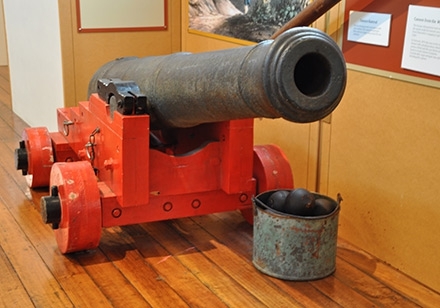 However, very little naval action has taken place in Tasmania. 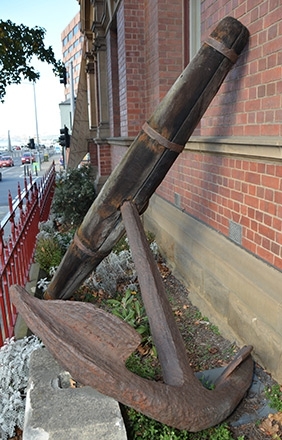 Tasmania has excellent boat building timbers which were soon used by British settlers to construct wooden vessels of all sizes, from small dinghies to ocean-going ships. 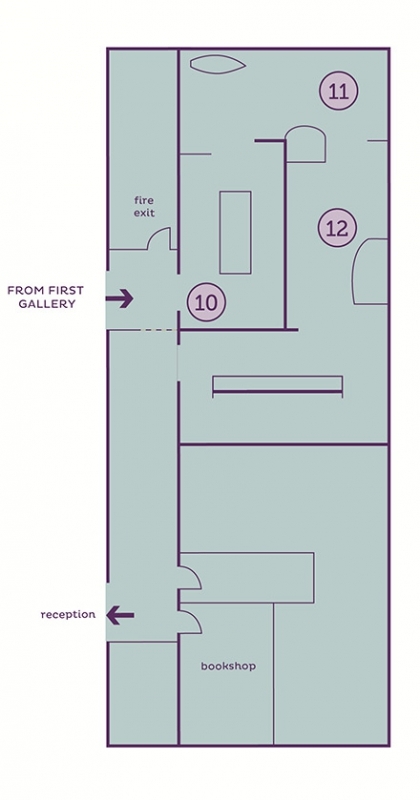 Their small trading ketches were particularly sought after around Australia. 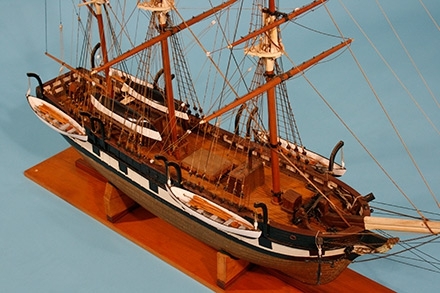 Like Chinese junks built for local coastal or river trade, they had flattish bottoms (but their construction and rigging were very different). Now Tasmania is known for its medium to large fast catamarans. 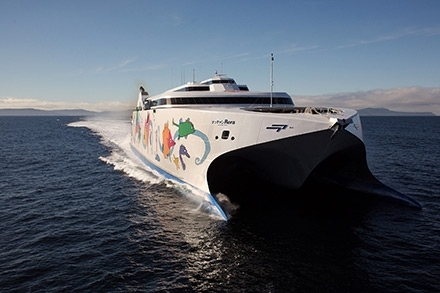 The Hobart Company, INCAT, sells their fast ferries around the world to Europe, America and Asia. Two have been used between Fujian and Taiwan. The Hai Xia Hao (The Strait) commenced this service in 2011 and the Natchan RERA (麗娜輪) was built specifically for the route in 2014. 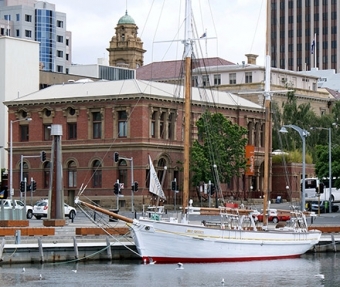 Like many other cities and towns around the world which relied on water transport to move people and merchandise, Hobart was built on a waterway. 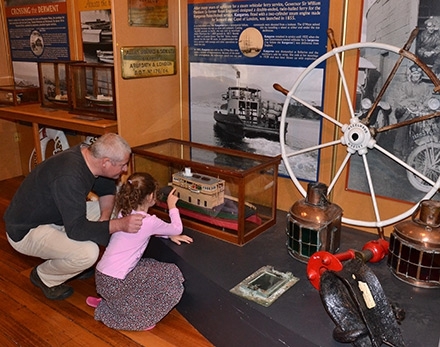 Soon after Hobart was founded, ‘watermen’ provided a sometimes hazardous ferry service, rowing passengers and goods across in small wooden boats. As settlement expanded, regular ferry services were established. Our models show some of the ferries run by several generations of the O’May family between 1865 and 1939. After the opening of the first Hobart Bridge in 1943 the ferry services declined, except for a two-year resurgence after the bridge was knocked down. Now our ferries mostly transport tourists. 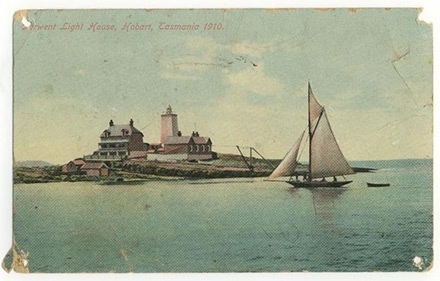 Many lighthouses around Tasmania’s coast were built because ships had been wrecked nearby. 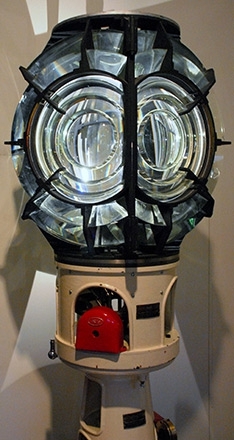 The first was the Iron Pot Lighthouse erected near Hobart in 1832 and manned initially by a keeper and two convicts. During the following 74 years 25 lighthouses were constructed around the island. The picture shows Maatsuyker Island Light off South West Tasmania, our most remote light and also the last to be automated (in 1996). The first European style lighthouses in China were built in the 1860s by the Portuguese on Guia Hill Macau and by the British near Shanghai. 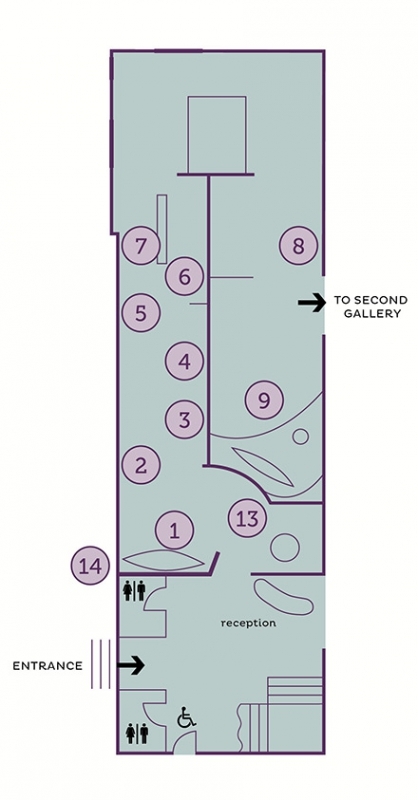 As you leave the museum you will see a large anchor in the garden bed. This came from the American clipper Whistler. This vessel transported 418 Chinese labourers from Hong Kong to Melbourne in 1855 to join the Victorian gold rush. 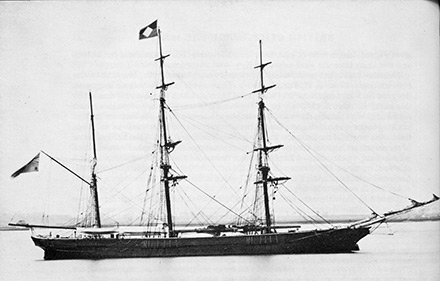 Soon after leaving Melbourne for Singapore in ballast Whistler was wrecked on King Island. All but two of the crew survived.